The number of PhDs awarded in the sciences is far greater than the number of tenure-track faculty positions on offer. While some PhD graduates have their sights set on jobs in industry, communication and administration, there are many motivated and talented young researchers who vie for their share of the academic pie, only to find that there are simply not enough opportunities available to accommodate them all. 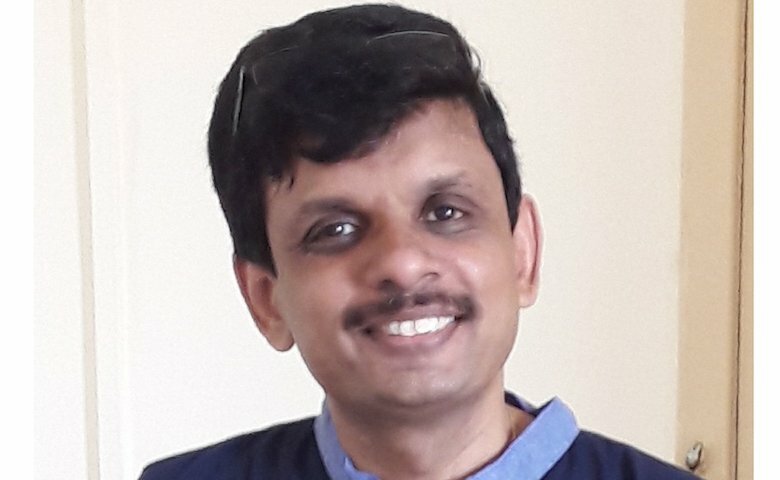 Indian academia loses out by not expanding the portfolio of positions it offers to young scientists says Ullas Kolthur, Associate Professor at the Tata Institute of Fundamental Research (TIFR), Mumbai. IndiaBioscience chatted with him about changes that could help retain scientific talent and the possible challenges and rewards such changes would bring. Tell us a little bit about your career trajectory. I did my PhD at the Indian Institute of Science (IISc), Bangalore, where I trained as a biochemist. Most of my PhD was aimed at understanding how chromatin remodelling occurs, especially during germ cell maturation. Having done a PhD, after the usual toying between industry and a postdoc, postdoc seemed the most obvious path to tread for me. I moved on to do something that was very different from my PhD work. I did a postdoc at Institute of Genetics and Molecular and Cellular Biology (IGBMC) in Strasbourg, France. I worked more or less independently in the lab where I was hosted on understanding how metabolic inputs control chromatin and chromatin-dependent processes including transcription. After a 4-year stint — a relatively short postdoc — I came back to India as an independent faculty in 2008 to TIFR, Bombay, and I’ve been here since. When you looked to return to India, had you considered anything other than the tenure track position? Back then, positions in the tenure track were not really well-defined in the Indian system. In fact, a lot of us got to know about the tenure track after we joined. Having said that, options apart from academia were always on the cards. However, one could not always be sure about what the job prospects were. The most attractive positions were of course in industry — in pharma and biotech. But my personal preference was for academia. Let’s talk about choices — or the lack thereof — within academia. It’s interesting because at the time I was ready to look for jobs, I was offered the chance to stay back in the French system itself. There — although they do get in people as independent researchers — most often, the only route to becoming an independent group leader is to start off as a junior group leader. I believe this system helps people who are postdocs and who are probably not sure about jumping into an independent position as a group leader. When you join as a junior group leader, depending on your interests, motivation and capabilities you may or may not end up becoming an independent group leader. I did not pursue the possibility of staying back in France because I was very keen to come back to India. However, there was uncertainty and lack of clarity of what it means to lead a research group independently. There were a lot of apprehensions, but given the drive to lead an independent group within the academic system, I had to take the plunge, oblivious to the challenges. So you believe we should consider adopting the junior group leader model? How will it play out in India? In many places, particularly in systems where the science and scientific approaches are much more mature, one would always have a system where a typical lab would have a lab manager and possibly a junior group leader or technicians. Now that is useful because in some sense you want to divide the labour while maintaining efficiency. In the context where you don’t have these systems, often, new faculty (PI) would be the clerk, the manager, the accountant and the technician of the lab. That may be one way of doing things, and also has its merits. On the flipside, particularly with the tenure track system, it is a huge burden for a young researcher to shoulder. They end up spending a lot of time doing a lot of things that do not directly relate to their science. However, not doing these will affect your science and career, given the lack of support staff within the group/lab. What do you see as the advantage of the junior PI system? The success of a postdoc does not guarantee prospective success in science as an independent group leader. Often one sees that people who are prolific scientists as postdocs may fail as group leaders because they need to do a lot more things than just as a postdoc. This includes administration and manpower management. In this regard, the option to choose a junior PI position could serve as a nice transition for a junior PI to assess their own skills. However, retaining the possibility to join directly as an independent group leader is also advisable. It should be provided as an option. I would argue that it will help the system and the junior/senior PIs as well. There’s another advantage. Currently, we’re losing out on a lot of motivated, talented people who can productively contribute to Indian science. In the present scenario, either a postdoc has to become an independent group leader — a plunge they may not be willing to take — or move into other careers. The junior PI positions will be in addition to independent faculty positions and help retain talented scientists. Is there a danger of the junior PI position being seen as a prolonged postdoc? Yes and no. I guess, in some sense, it could be seen as a glorious postdoc position, particularly if it is not defined well. To avoid that, the expectations and the job description have to be well thought out. Mechanisms must be put in place to make sure that the junior PI leads projects and students of their own within the lab and have the possibility of producing independent papers — these will evolve over time and will depend on the people involved. Essentially, there is a danger, but there is also potential for setting it up in a way that avoids pitfalls and instead makes the positions truly valuable. There could be several other possible routes to retain talented postdocs within the system and what I have described is purely based on my personal experience of a system that has benefited from junior PI positions. But it is extremely timely to find this or any other modes/mechanisms before we lose talent to ‘internal brain-drain’. Speaking of creating opportunities, who plays a big role in bringing about the change? It is obvious that funding is required to support such models. So, should institutions take charge, should funding bodies initiate grants? Even before we ask about funding, we should ask whether these should be permanent or temporary positions. The former offer more stability for researchers and allows for fruitful long-term associations. However, if things sour or if the junior researcher doesn’t measure up to expected standards, this is not good for the lab. Having said that, temporary positions come with their own problems — one could think about exploitation and uncertainty for a young researcher. A simple way to get around these pitfalls is maybe to have contract positions for a defined period of time, and an evaluation that is not PI based. This will take away the bias — either in favour or against — similar to how our grants and tenure are evaluated, to make sure that the interests of both the people are taken care of. Maybe 5 or 6-year terms can be assured, and the researchers know that their contracts will be renewed when they perform. In terms of where should the money come from, I guess it is better if it is institutionalised. This will give control and incentive for setting up mechanisms for evaluation at an institutional level. If it is only grant based, fewer individuals will have access to such positions and it becomes difficult to apply thresholds and filters, both to induct and to weed out. How do you think the proposed model will benefit those who are already part of the current system? Tomorrow, if I want to have a facility manager and there is a well-trained postdoc who comes along, who doesn’t want to be a group leader or a tech, I still don’t see a straightforward way of hiring them. Such hiring decisions remain ad hoc and not regularised. In my opinion, when you become more senior in the system, you will have more access to people, resources and collaborations, platforms, money, manpower and space. So not having such positions may not affect senior people as much — they can find and choose the manpower they want. It’s the mid-career people who will immensely benefit from creating such positions. Can the junior group leader position be seen as an alternative for postdocs? Possibly yes, but I think one shouldn’t replace the other. Postdoc positions are different in some key ways. Postdocs bring vibrancy to the system; you turn them over more quickly than a junior group leader. Many a time you get a postdoc who comes in from a completely different field and creates a niche within the lab. This helps the lab. A junior group leader is a more permanent member of the lab. While competent fresh PhDs can be hired as junior group leaders, it is useful for someone with prior postdoc experience to subsequently transition to these positions. The positive and welcome effect that introducing junior group leader positions may have is to shorten the length of postdocs. It is generally difficult to bring about changes in the system, both at the personal and administrative level. How do you then initiate something new? We always come up with reasons for why something should not work. It is only when you start a system that you will ever come to know the sustainability of the decision. An open interaction between the administration, senior PI and prospective applicants should be encouraged. Senior PI should be more forthcoming in describing the requirements and expectations of the system to ensure a smooth transitioning into an independent position. There are many people who have come back after doing postdocs elsewhere and still more who are interested in doing so. We also have a growing pool of homegrown postdocs. Our system has to expand; right now, there are not as many positions as one would like to have. We don’t want talented and motivated researchers to leave science frustrated. One should take the risk of failing in the hope that it will help the system.